Sow directly outside, to a regular spot. They can germinate successfully in low soil temperatures; 5 °C (41 °F). They are sensitive to heat; sow as soon as the soil is warm enough. At least 50 cm (20 in) between rows and at least 20 cm (approx. 8 in) between the plants in a row. Beginning of March till beginning of April, plus end of July to use in fall. Seeds germinate in 9 to 14 days. Plant in a garden bed where barn manure has been used the previous year. Fertilize with home compost and use organic mulch. Don’t fertilize with barn manure. If the plants don’t grow successfully, lack of boron or copper might be the problem. Water regularly in the blooming and insemination period. If necessary, water twice a week, 20 cm (8 in) deep. Brassica vegetables, zucchini, squash, eggplant, potato, watermelon, melon, cucumber, lamb’s lettuce, tomato, sweet corn, spinach, asparagus. Legumes, onion, leek, garlic, shallot, pepper. Chocolate mold and lice. Sow early, strengthen with algae solutions. Pick young grains in pods regularly. Later cut the whole plants and store dry grains. Young grains can be frozen (blanch in boiling water for 2 minutes and put in cold water beforehand). Store dry grains in fabric or paper bags up to two years. Fresh or dry grains. They contain a wide range of proteins and are easier to digest then beans. It is recommended to till the soil and put protection around the plants. Accelerate ripening by cutting off the top of the plant. 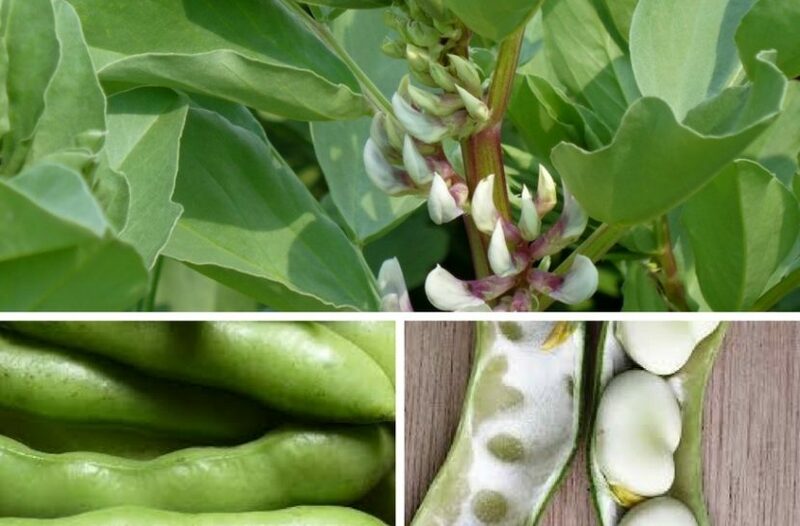 Dry broad beans can be stored for a long time and they are good a good winter food.